However on 14 Feb 1945, when the F/O Harris crew flew "V" (on ca. it's 94th(?) op), Sgt Ditson was not listed in the ORB as the MU/AG for this operation. Rather Sgt W Towle was the MU/AG listed on that trip. But one has to assume that the annotation on the "V" photograph is correct as it was provided by Douglas Hicks (R/AG). It was not until the Harris crew's 4th flight (21st Feb 1945) that Sgt Ditson was flying as the MU/AG, and on their next flight, 23/24 Feb 1945 (Pforzheim), he was injured and didn't fly with them again because the Harrs crew was lost on 7/8 March 1945 (Dessau). Some information about this raid has appeared in the Association newsletters over the years. A book published 1 Dec 2011 presents evidence that ME428 / BQ-O was the 121st, and last, aircraft downed by Luftwaffe night fighter pilot Heinz-Wolfgang Schnaufer, known as "The Night Ghost Of St. Trond", the highest scoring night fighter pilot in the history of aerial warfare. See: http://en.wikipedia.org/wiki/Heinz-Wolfgang_Schnaufer. The rudder of his Bf-110 is on display in the Imperial War Museum, London. The research indicates that ME428 was downed at 21.56 hrs combat time next to a village named Colbitz 23 km N of Magdeburg enroute to the target of Dessau. An eye-witness was found who was able to point out the location of the crashed aircraft. 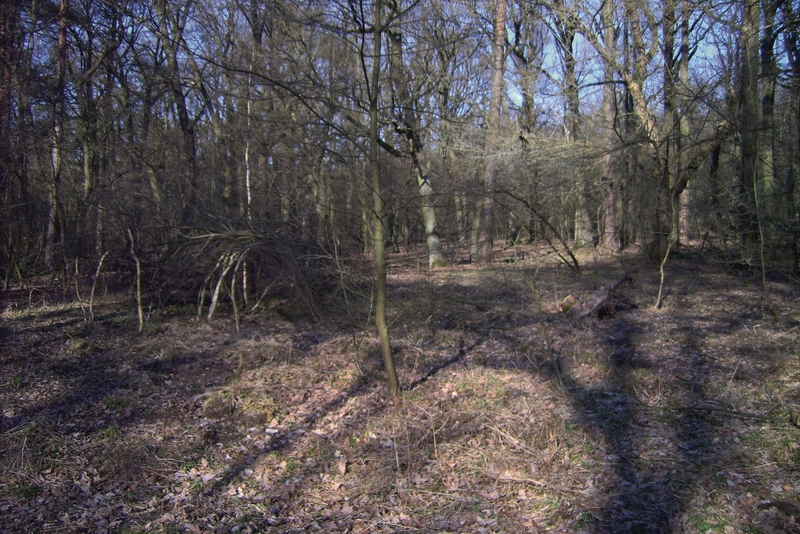 The Colbitz village Cemetery, the place where two of the casualties were first buried. The body of skipper, F/O Harris was never recovered. 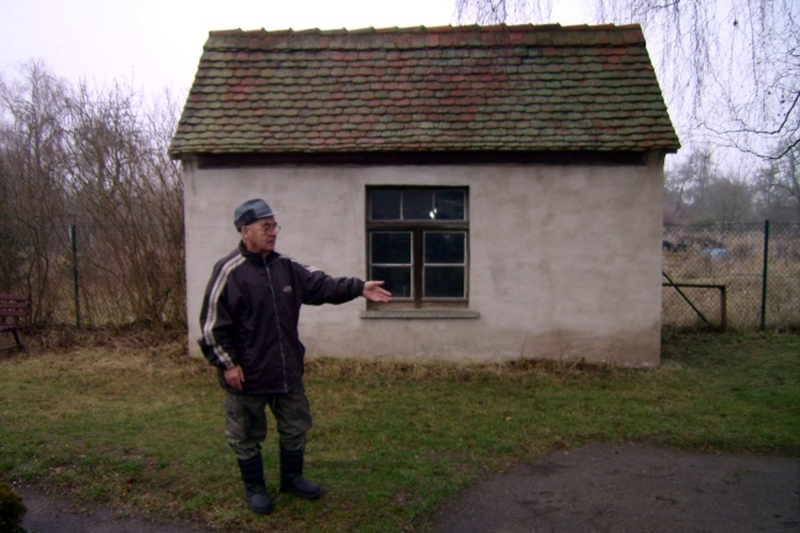 The man in the picture is an eyewitness from the village. 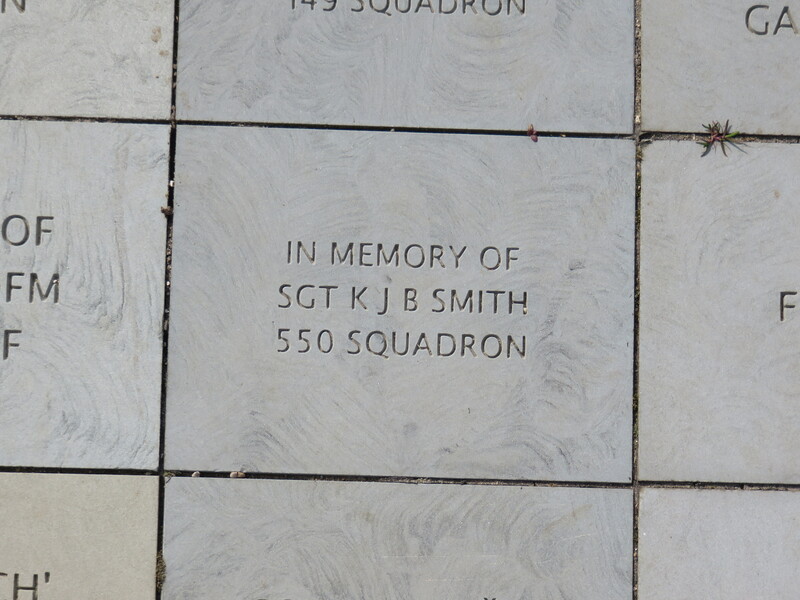 If this is correct, then this is the second 550 Squadron aircraft downed by this particular night-figher pilot; there is an online record indicating that DV309 was also shot-down by this pilot on 21/22 May 1944 (at that date his 67th downed enemy aircraft). 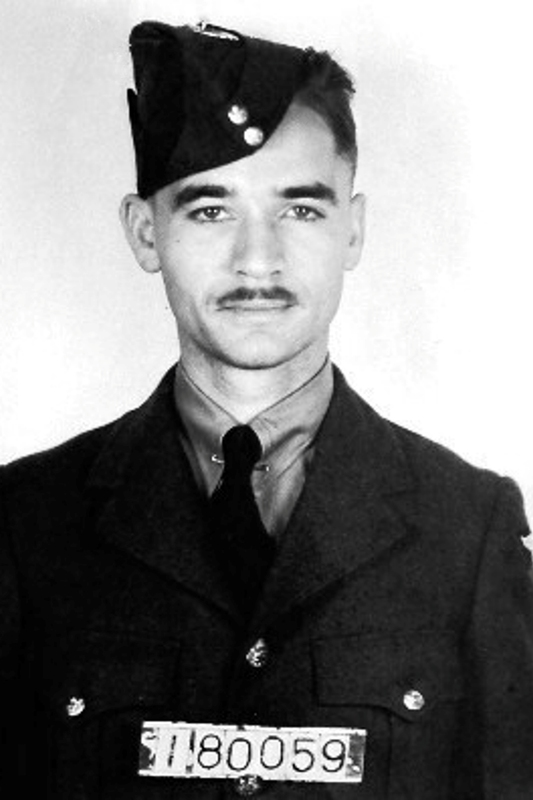 There follows below a selection of pages from the POW and De-briefing reports from the Canadian archives concerning F/O R D Harris. The source: LAC/Ottawa, RG 24 File being gratefully acknowledged. 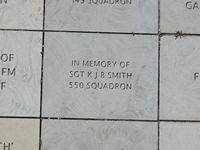 Stone tablet to 550 air-crew at the International Bomber Command Centre, Canwick Hill, Lincoln.